What is HDR and what is this mode used for? Each modern smartphone has a built-in camera that can be used to take photos or video. Find smartphones without it is very difficult, and they apply only with certain security measures. 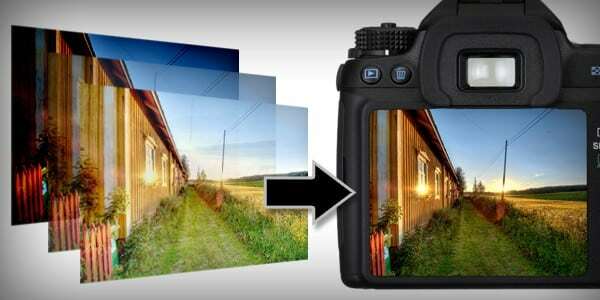 Since all users have cameras, many would like to learn how to make high-quality, rich photos. Sometimes it is difficult due to the fact that the camera module itself is of poor quality. But even in this case, the photo can be improved through HDR, using the tips from this article. Many smartphone users, looking at the newly acquired gadget and experimenting with applications, find an interesting function and ask themselves: what is HDR in the camera, and how to use it? This function, which is present in most programs designed to work with the camera, makes it possible to avoid the lighted areas in the photographs, or, conversely, too dark. It is clear that no one can overcome the laws of physics. How, then, does this mode work? Actually, it is implemented quite simply. When photographing, not one but several pictures are taken at once. Their number may depend on differences in the illumination of objects and the desired quality of photographs. The main feature is that when shooting, the camera determines the level of illumination in different blocks of a photograph, and takes several pictures, each of which would be individually illuminated or dark. After that, at the program level, these images are processed, of which selected areas in which the lighting is as close to real as possible. After bringing these pictures into one, it turns out a bright, saturated, but at the same time never-exposed photo. Speaking briefly about what HDR is, this is a function that will allow you to make high-quality images of static objects in any lighting conditions. It is worth noting that it is very easy to find the use of this function, and what situations should be avoided, we will look at a little later. Especially HDR-mode can be useful when shooting landscapes. If you are shooting in the morning or in the evening, then the unevenness of the terrain surface may contribute to the appearance of dark spots in the photograph at the place of shadows. Also this is true for shooting in the mountains. To avoid this, it is worth taking advantage of this mode, which will align the level of illumination as much as possible. The second field of application is shooting of premises. Due to poor lighting, the brightness may not be enough under all conditions. 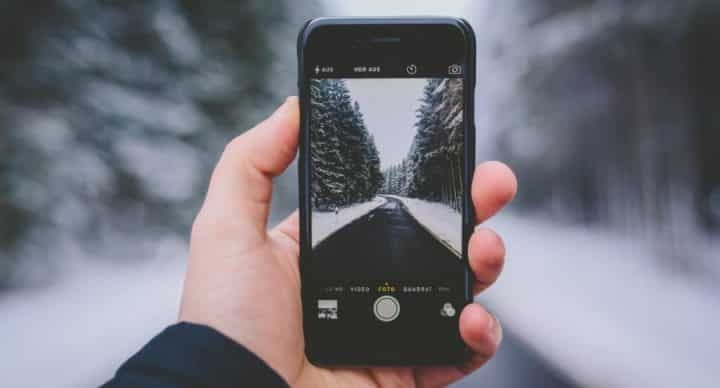 The HDR function in the smartphone provides the ability to make the frame of the highest possible quality, although it may not be too close to the original as a result, especially if you have a camera module with a low aperture. As noted above, when taking pictures with HDR, several photos are taken in succession. In part, this is reminiscent of panoramic photos, only in this case it’s not the object of the shooting that is changing, but the level of light sensitivity. Maybe you have seen unsuccessful panoramic shots on the Internet, in which objects moving in the frame at the time of shooting, are freakishly cut and glued together? The same situation can occur if you try to remove a moving object, such as a car or a running child, using the HDR mode. The second feature is that the camera itself must remain stationary besides the subject. If this is ignored, the result will be an image in which all objects appear to be out of focus, and will receive one or even several of their reflections and contours. It is hardly possible to call such pictures successful. So, in order to get high-quality photographs with an even level of illumination, you should remember that neither the camera nor the object being photographed should move. If you follow these recommendations, good pictures will be obtained the first time. Modern mobile operating systems are pleased with a variety of settings and extensions. Some of them are sewn into the firmware, while others can be installed separately. This rule also applies to programs for working with the camera, each of which may have its own set of functions. If the manufacturer of your smartphone did not take care of the HDR mode in the built-in application for working with the camera, do not be upset and think about replacing the gadget. Since the processing of photographs is carried out exclusively at the program level, it is enough to find a suitable program in the app store that allows you to use the desired function. The main requirement here is one thing - that the "iron" was powerful enough to perform these functions. However, considering that similar programs appeared for smartphones that were equipped with the Android 2.1-2.2 operating system, you shouldn’t worry about modern gadget users - any modern phone with the necessary software installed can easily handle photo processing. As you know, not a single mobile phone camera, no matter how good it is, can compare in quality with a high-quality professional SLR camera. That is why, if you need high-quality images, you should use the appropriate equipment. Not everyone knows that the HDR mode in a professional-grade camera is implemented by each manufacturer. Only he can be called differently, which is why confusion arises. To find out exactly how your manufacturer calls the automatic exposure bracketing with a dynamic selection of the level of illumination, you should carefully review the instructions for the camera. It can be used both automatically and manually. Automation implies self-selection of frames, as on the phone, and their subsequent integration into one. If you have experience with graphic editors, and you take photos using a tripod, then the best solution would be manual processing. It implies that the photographer will take several shots in a row from the same position, changing the settings for sensitivity and color balance. Subsequently, these pictures can be folded one by one, and manually bring them to the state in which they will look the most harmonious. Indeed, for many it is not a secret that sometimes a photo looks better precisely when there is very little naturalness left in it. When photographing even with a tripod, the camera may shift, or a gust of wind will shake the trees growing on the slope of the hill being photographed. In any case, it is possible to eliminate such defects, but more effort will have to be made. But during automatic processing, these defects will remain in the final version of the image, from where it will be almost impossible to remove them. However, if there is no skill in processing, the photo still taken in HDR mode will often be better, richer and more contrast than the picture that was obtained on fully automatic settings. Appsgames⟾Miscellaneous⟾What is HDR and what is this mode used for?